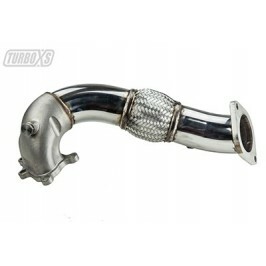 TurboXS releases the Mazdaspeed3 downpipe (MS3-DP). 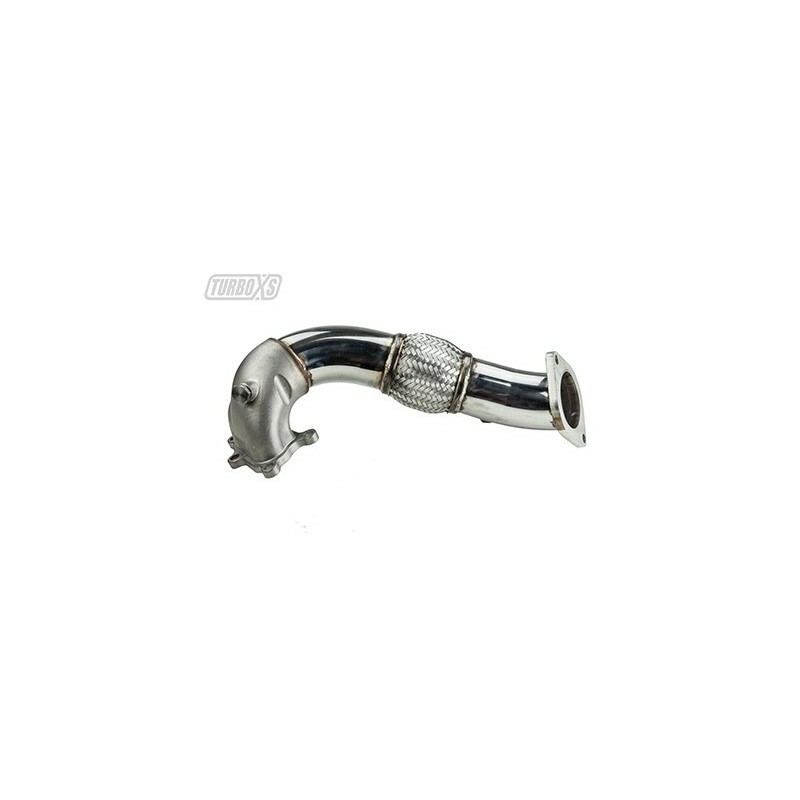 This downpipe is the pure key to turning your MS3 into a real beast. 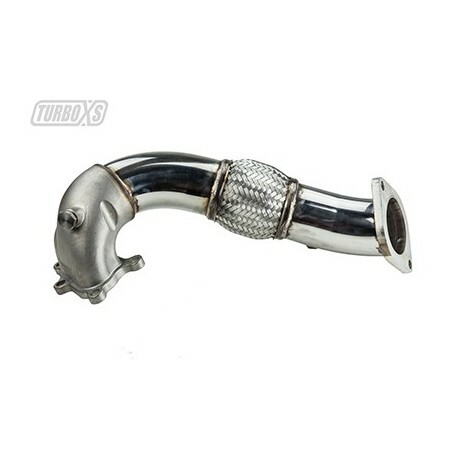 TurboXS releases the Mazdaspeed3 downpipe (MS3-DP). This downpipe is the pure key to turning your MS3 into a real beast. Our stock MS3 made 274 ft-lbs and 244.1 whp. on our in house Dynapack Dyno. Adding our MS3-DP and the MS3-RP, we saw an average peak torque gain of 50 ft-lbs and a peak wheel horsepower gain of 40 whp. 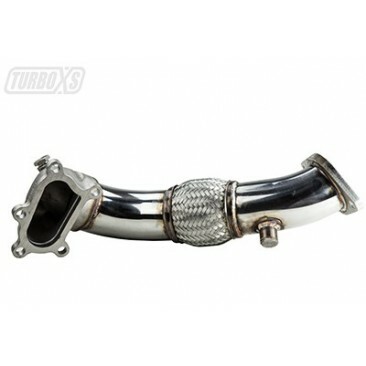 Without a doubt, reducing the restrictions after the turbocharger is the best way to achieve huge torque and massive horsepower gains. The downpipe's bellmouth is made from investment cast stainless steel and was engineered with clearance notches to ease installation. The bellmouth was used to give your wastegate the proper flow characteristics to avoid a boost creep and promote high exhaust gas velocity. 3 inch diameter mandrel bent stainless steel is used throughout to Downpipe to compliment the bellmouth housing and a cast stainless steel flange completes the downpipe. The MS3-DP was designed to mate to our catless race pipe (MS3-RP). To reduce the risk of throwing a Check Engine Light (CEL) due to removing the factory catalytic converter, we have extended the bung for the rear oxygen sensor.